Patient with multiple myeloma with previously normal liver on ultrasound. 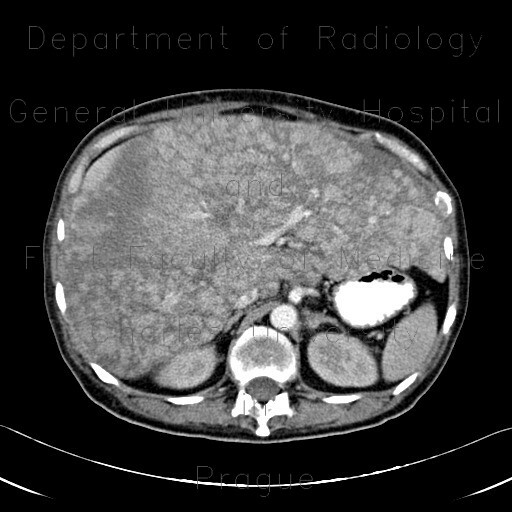 The liver is markedly enlarged, show multiple nodules of increased enhancement that correspond to hypervascular nodules in venooclusive liver disease due to obstruction of small perisinusoidal branches of the hepatic veins. Multiple osteolytic lesions in bones.